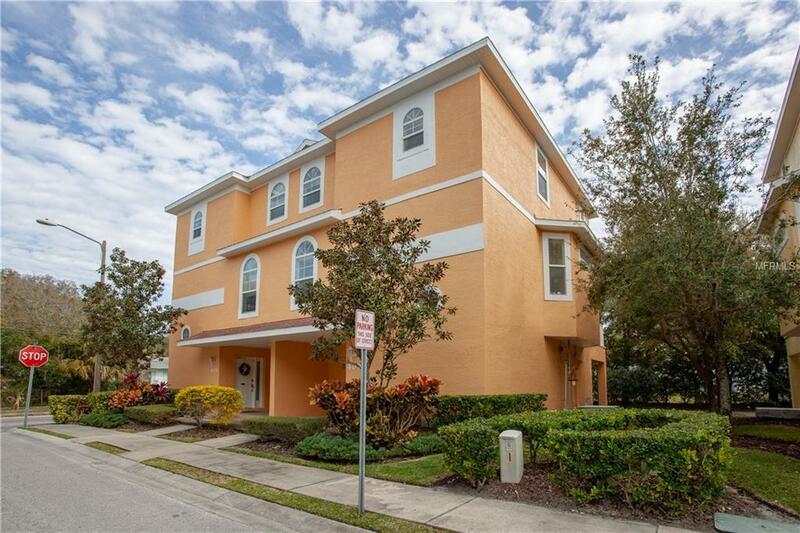 Beautiful townhouse in the heart of Tarpon Springs. Walking distance to downtown restaurants, bars, gyms, grocery and convenient stores. This 3 bedroom, 3 bathroom, 2-car garage home has a new A/C (2018), new appliances (2018), new carpet and fresh interior and exterior paint (2018). First floor is an oversized 2-car garage, front door entry and large interior storage closet. Second floor contains the living room, dining room, kitchen, one bedroom and a bath. Third floor has a bedroom, bath, master bedroom/bath and Laundry. Both the second and third floors have extra wide halls with nook areas great for reading or desk space. New blinds and ceiling fans throughout. Furniture pictured is available as well. Pet Restrictions Owners May Have 2 Pets (Cats Or Dogs) And Each Pet Can Be No More Than 16" in Height.